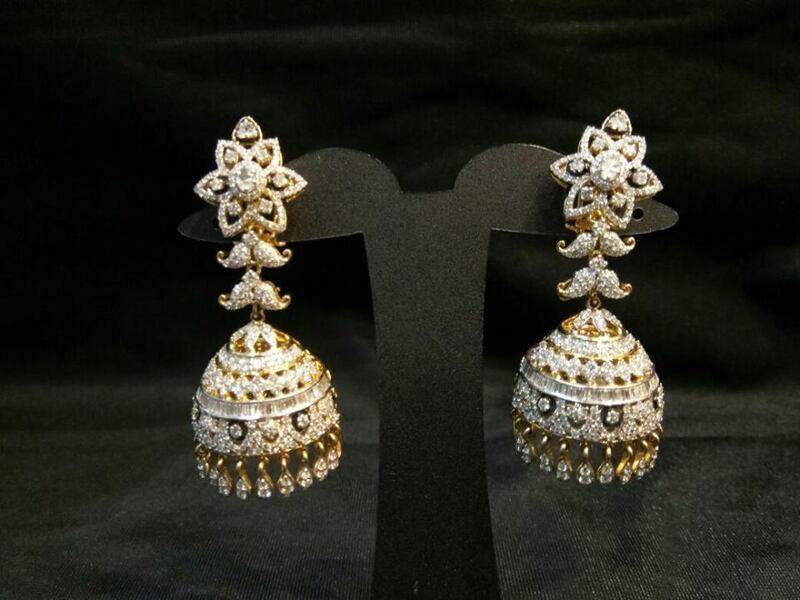 Home Accessories 23 Latest Diamond Earrings Designs That Will Stun You! 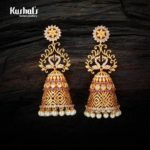 23 Latest Diamond Earrings Designs That Will Stun You! In the accessory world, often many new innovative jewellery designs come and go. 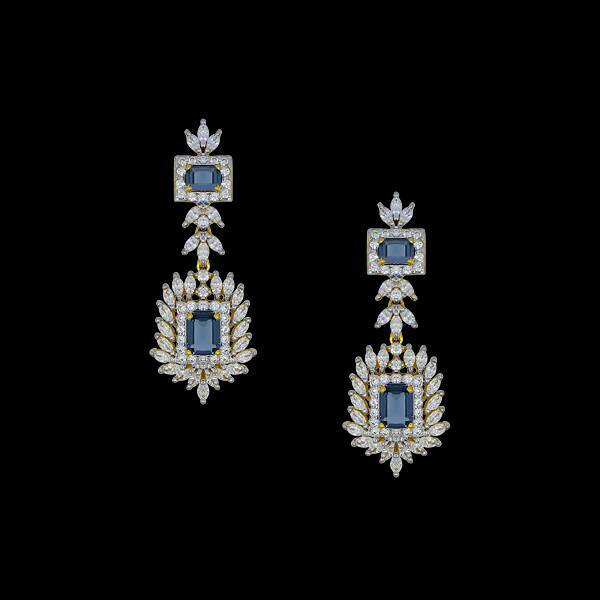 But if there is a one that can stand the test of time, it is the classic diamond earrings. 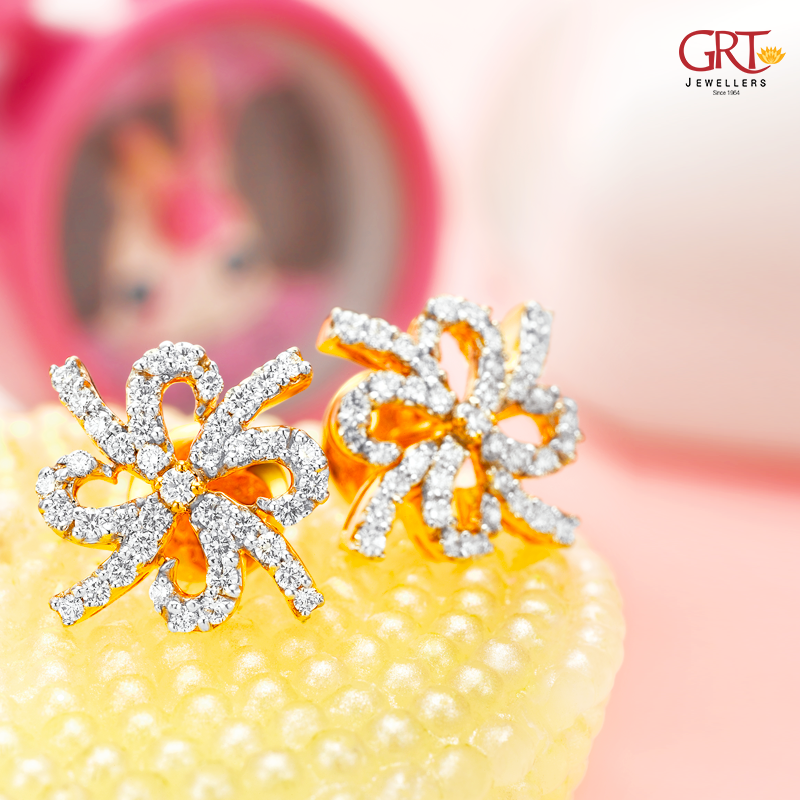 Buy a bold diamond earring and you can be sure it won’t let your sparkle down anywhere. 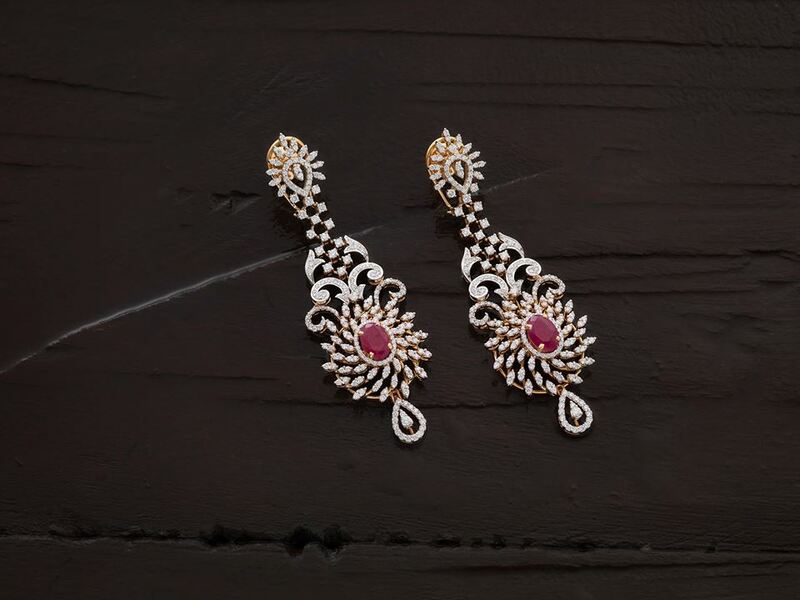 From the traditional sarees and sawlars to modern fusion wears, every other outfit in a women wardrobe can be made to look dramatic with the addition of statement diamond earrings. 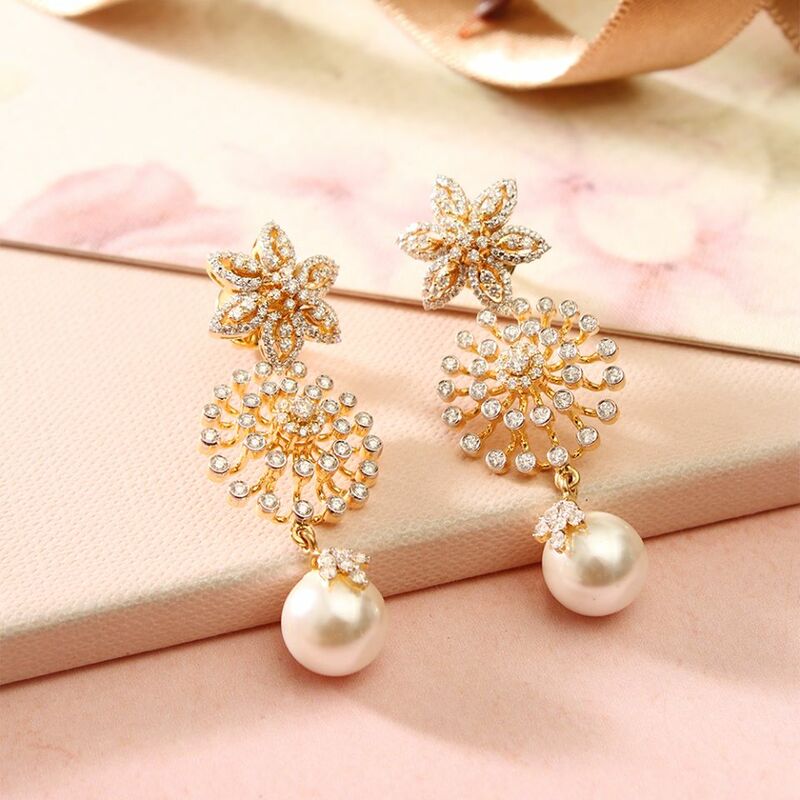 Thanks to Jewellery designers, off late we have been catching up innovative designs in the earrings section as well, to meet the taste of modern girls. 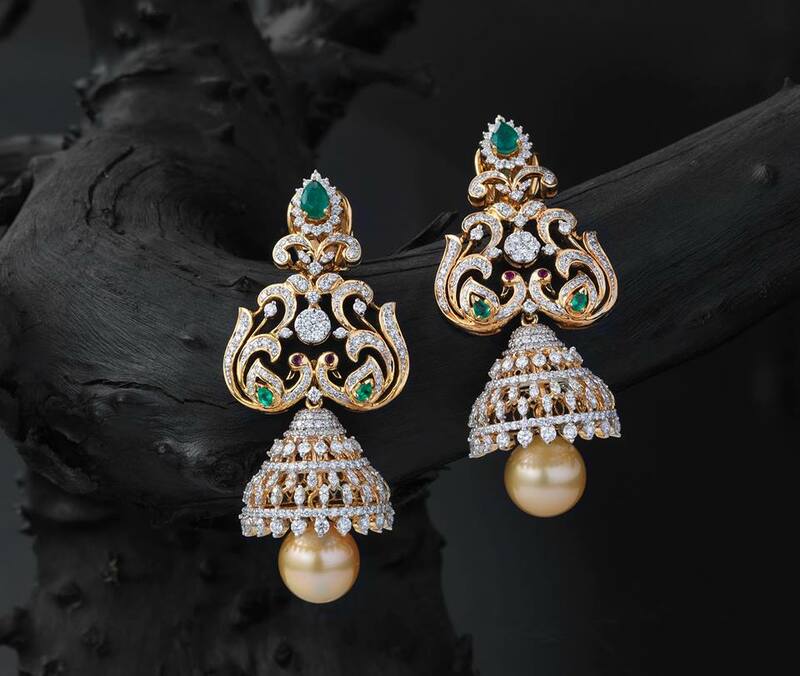 From the ear hugging cuffs to elaborate chandbali, so many eye-catching models are making diamond lovers go crazy this season. 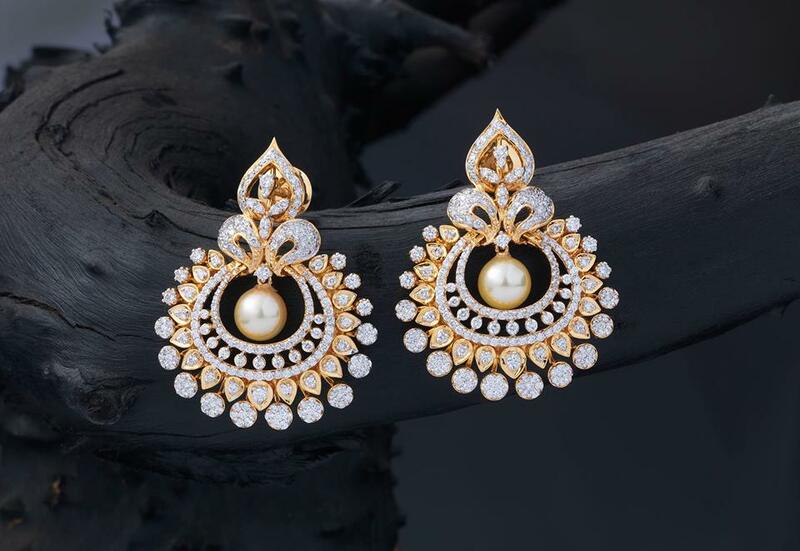 Now let’s take a look on 25 latest diamond earring designs that will literally stun you on the first sight. 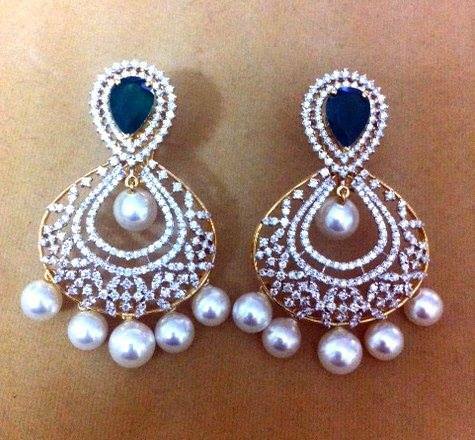 Do you like diamond jhumkas? then the same with creative peacock design will make you want to buy one more! 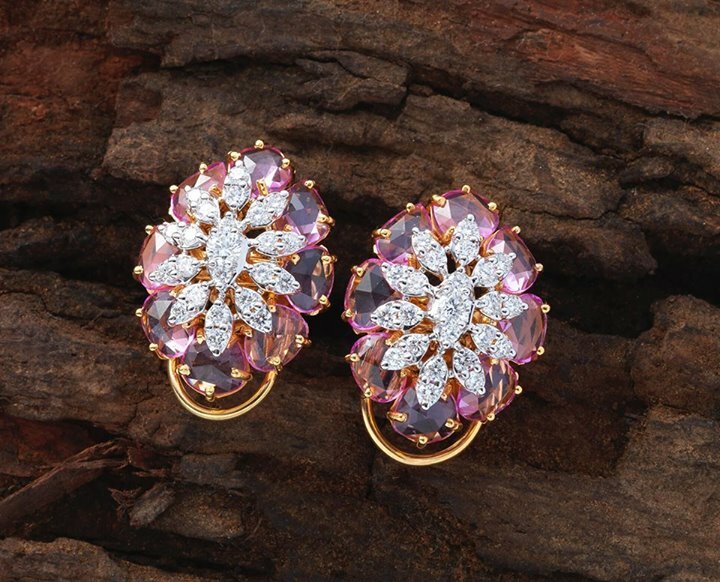 A diamond floral ear stud is all you need if you need a daily wear diamond earring. Imagine this with your kurthas and casual salwars? Perfect! 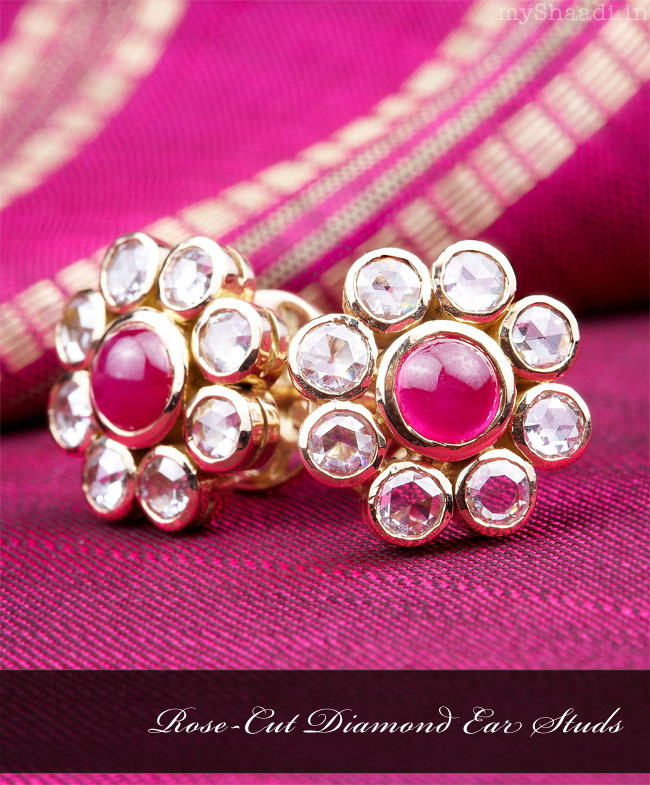 Gift this to your mom or grand mom, and make sure they wear it with a pink saree. Make your lehengas and anarkalis a showstopper with this bold chandbali. 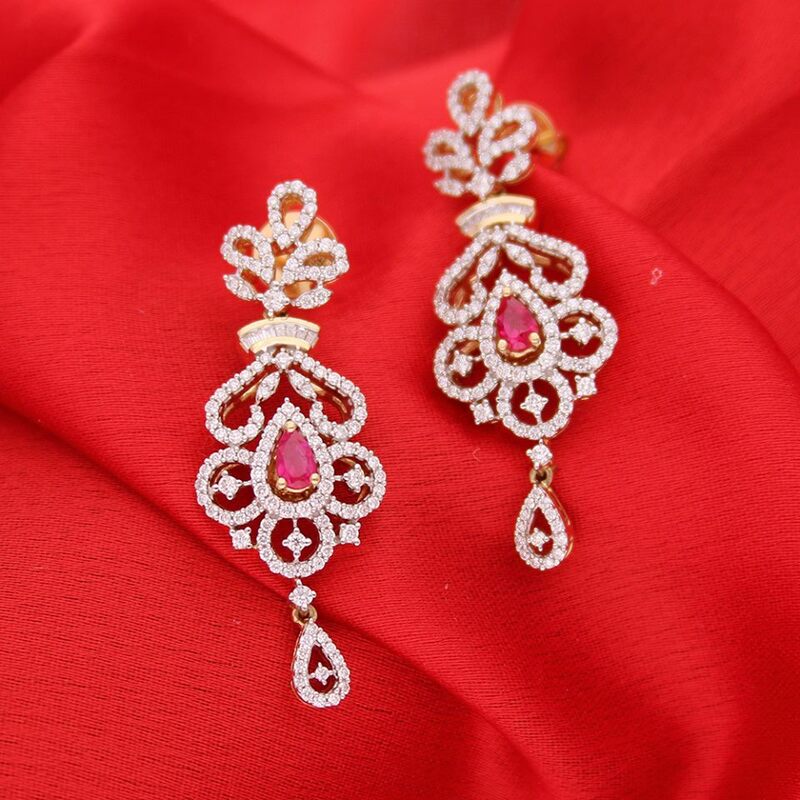 Diamond jhumkas highlighted with rubies is the classic combination that will never run out of fans. Bored of vintage models, how about a designer diamond ear stud like this? 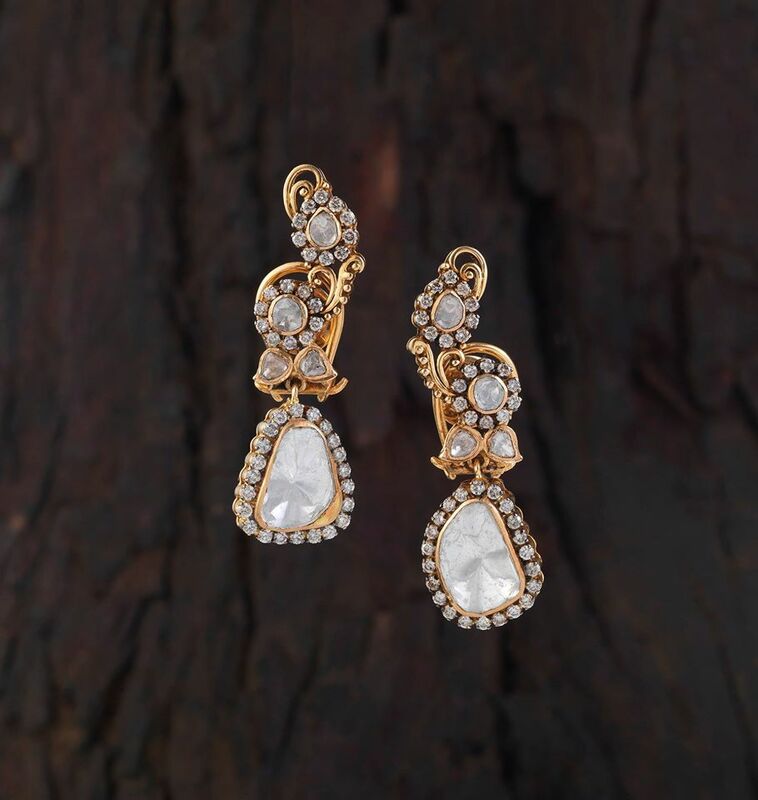 If you love lengthy earrings, then this long diamond beauty with keep you hooked. 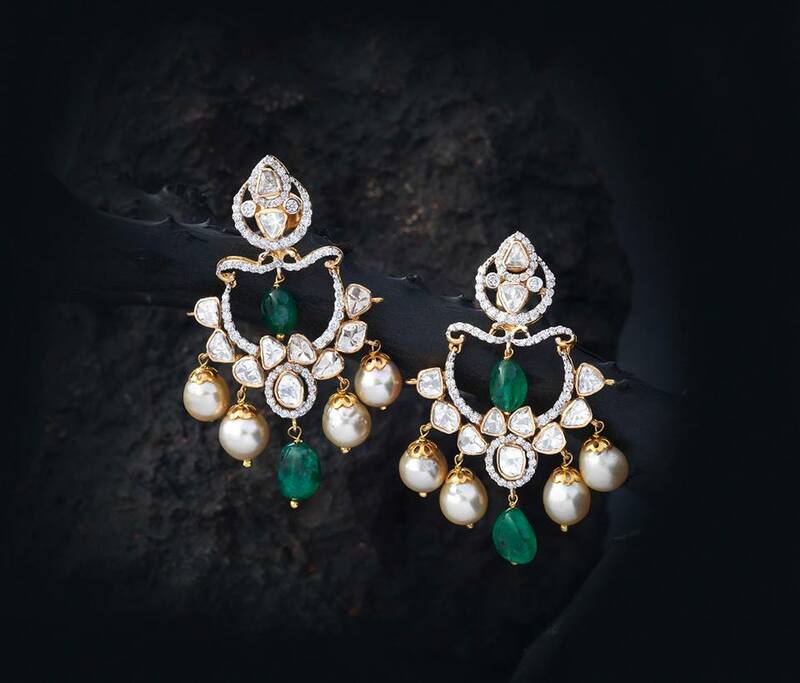 Bold diamond earring highlighted with emeralds will add new dimension to your green outfits. 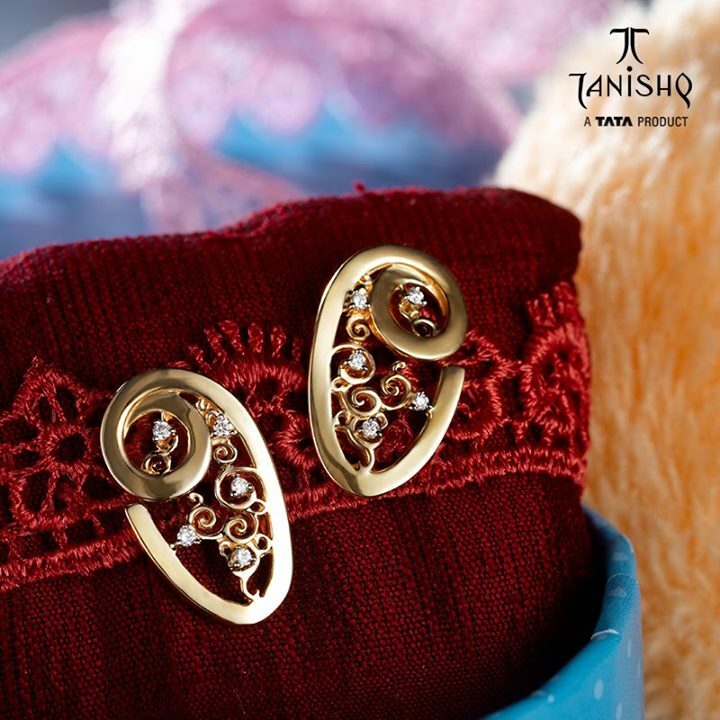 Get wild and try a double sided earring with your fusion wears and western outfits. 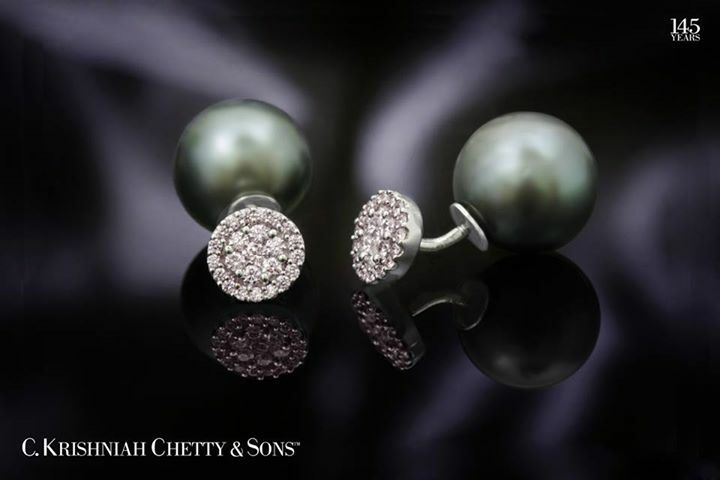 A bold pearl could entirely transform your plain diamond earrings. Don’t believe us? 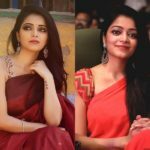 See this beauty! Own this beauty and pass it as heirloom peace to your daughter. 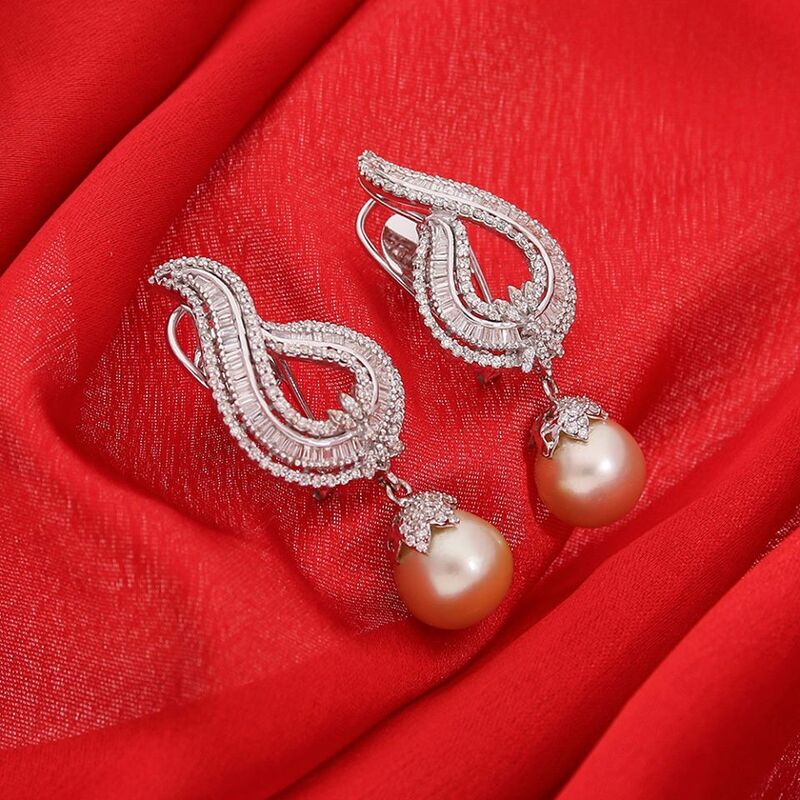 Pearl and rubies make a best embellishment in a classic diamond earring. 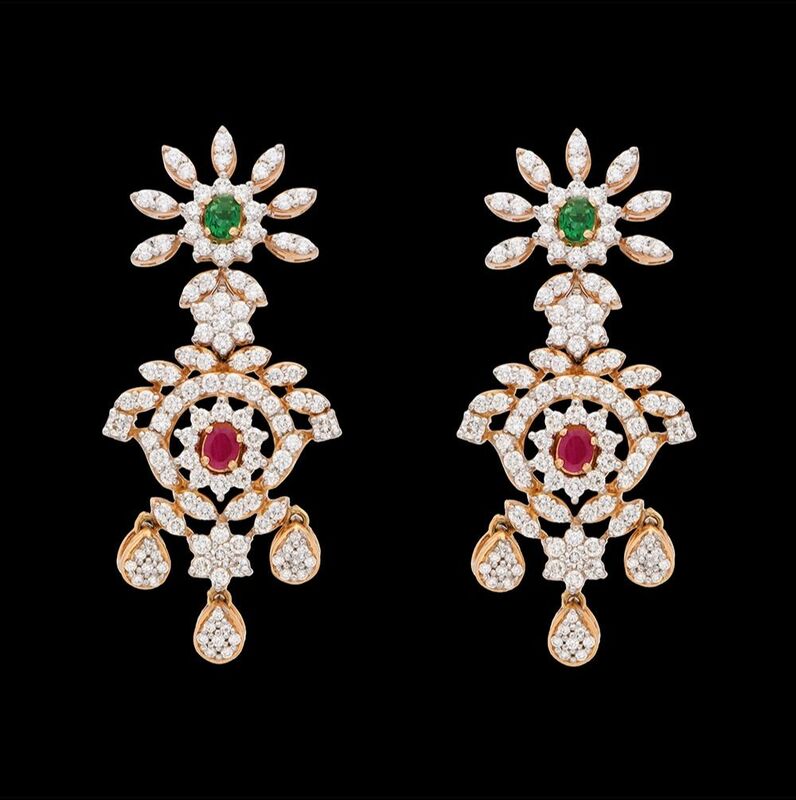 Having some color in your diamond earring will give you more excuse to wear it with matching dresses. 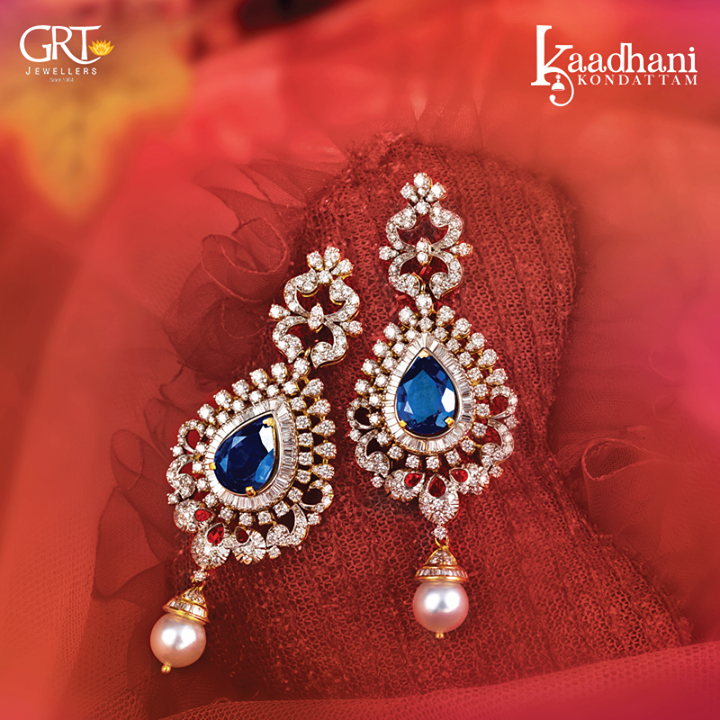 Get regal with your blue dresses with this sapphire studded diamond earring. A modern design like this will look dashing on formal dresses. 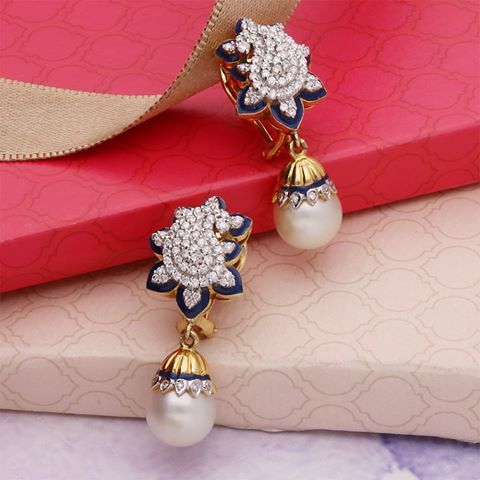 Wear this statement pair with ethnic outfit and skip rest of the accessory. This is enough to look stunning. A bit complex pattern like this is bound to attract everyone. Every professional woman should own this piece. This is a kind of design that you can gift to your teenage daughter. Pair this with a handloom saree and see the magic unfold. This is a must-have piece for every bride. Wear this with beige and off-white saree and be ready to receive lots of compliment. 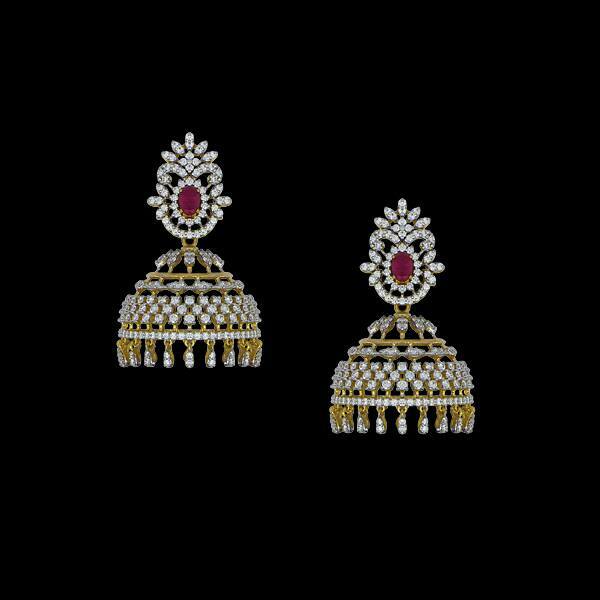 This is a party-wear earring that can instantly brighten you up. 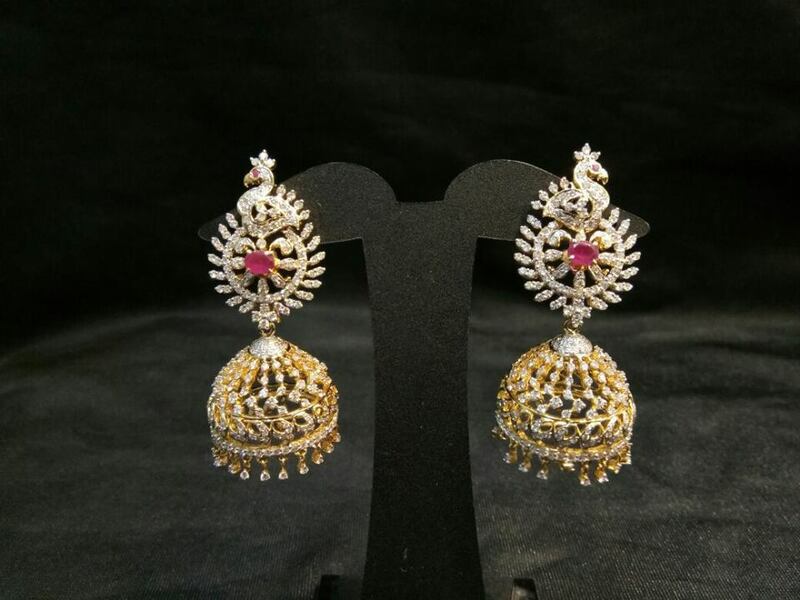 If you are a jhumka lover, a design like this is a treasure for your collection. 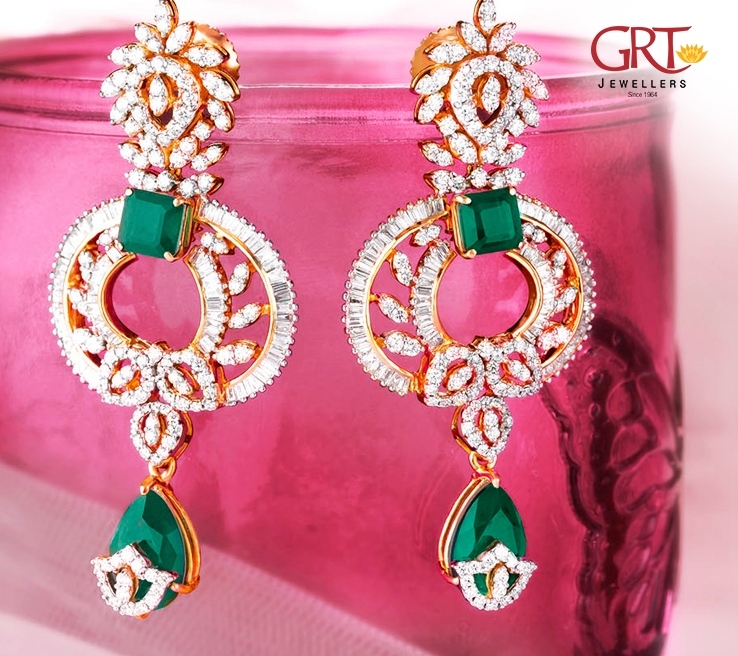 Wear this long earring with floor touching anarkalis and maxis! We can understand the reeling effect you have been witnessing now. Diamonds are pretty cute things to behold on sight right? But these beauties are not budget friendly. If that is the constraint which is limiting you, then get this design with CZ (cubic zirconia) stones or less expensive AD (American diamond) stones, you will still enjoy these dreamy designs without burning your wallet. Now, tell us your favorite design from the list above! 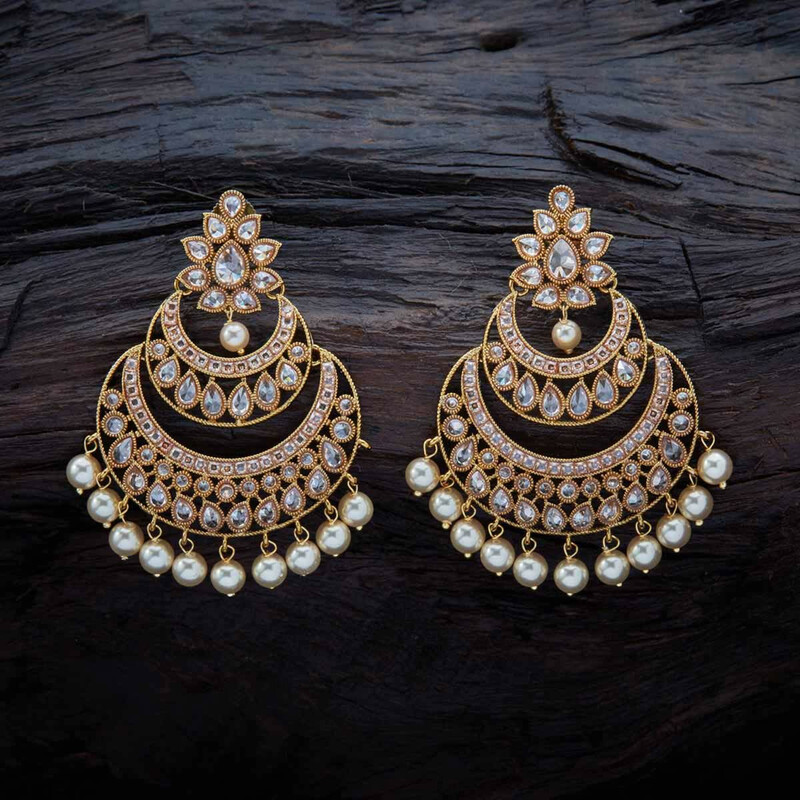 Also Read : 14 Antique Jhumka Designs You Will Wear For Years! 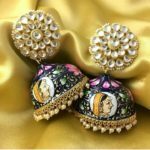 Temple Jewellery Jhumkas – Why You Should Buy Them Now! 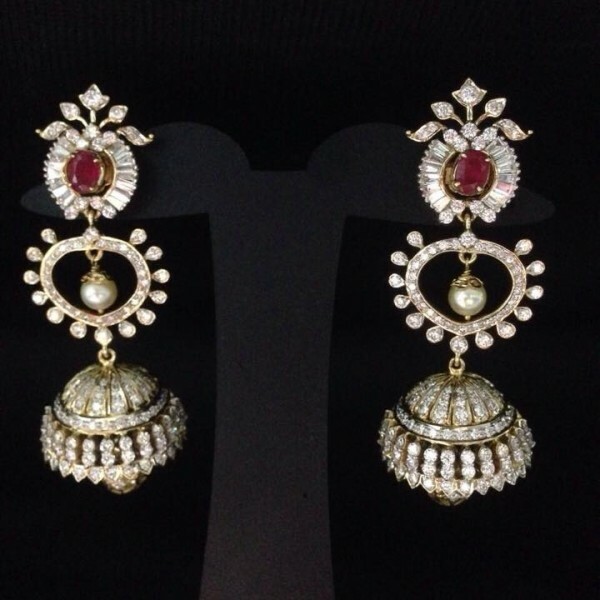 14 Antique Jhumka Designs You Will Wear For Years! 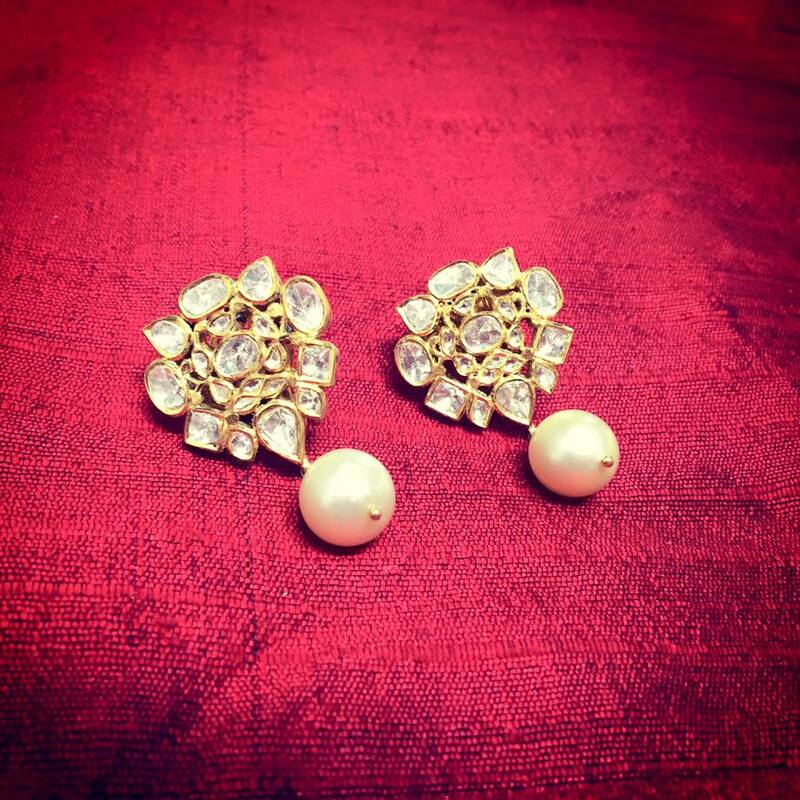 You Can Shop Celeb’s Favorite Jhumkas Right Now! 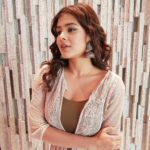 You Need At least One Bold Silver Accessory for This Season! Next articleWhat a Ravishing Red & Royal Blue can Do To Your Outfit!